Sage corresponds with the element of Air, the planet Jupiter, and is one of the most utilized herbs in cleansing and purification rituals. Dispersing negative energy and vibrations this herb aids in healing by creating a lighter environment. Science has even discovered that burning Sage may reduce the presence of certain bacteria in the air. It may also aid in the manifestation of protection and prosperity. 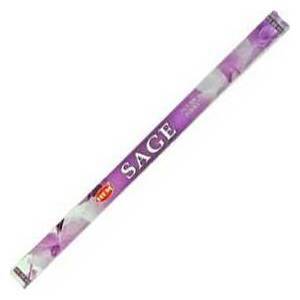 This is a single box of 8 HEM incense sticks.